Mobility International USA’s mission is to empower people with disabilities around the world to achieve their human rights through international exchange and international development. MIUSA is a cross-disability organization serving those with cognitive, hearing, learning, mental health, physical, systemic, vision and other disabilities. 2018: Channel made a grant to continue supporting MIUSA’s efforts to bring together women with disabilities and foster inclusion and achievement of women with disabilities at local, national and international levels – particularly their WILD Seed Grants Program. 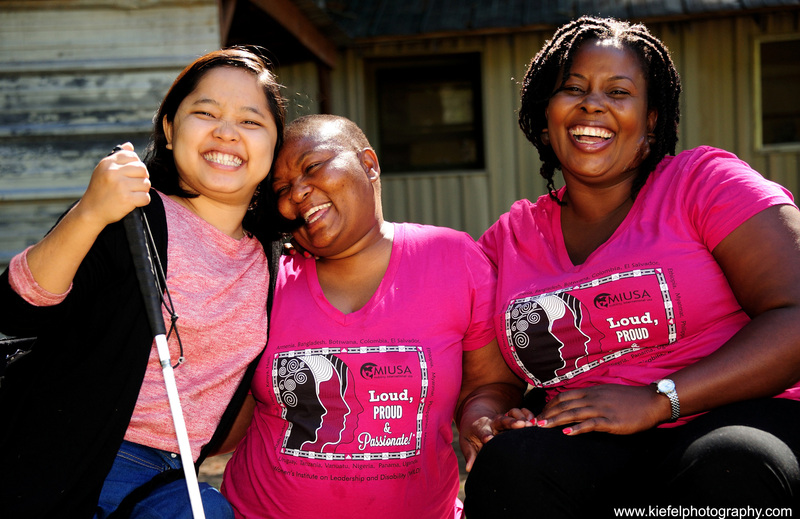 MIUSA’s 2019 Women’s Institute on Leadership and Disability (WILD) will bring together 25 women with disabilities from Africa, Asia, Eurasia, Latin America and the Middle East to Eugene, Oregon, USA, for an intensive three week training program. The 2019 WILD will again include a Seed Grants Program where, following the training, participants will receive small grants to support implementation of WILD workshops in their communities. The Seed Grants offer WILD delegates a chance to identify additional technical and in-kind support and partnership of local community-based organizations which can help build long term bridges. In addition, the 2019 WILD will again include a Gender, Disability and Development Institute (GDDI) which will convene representatives from development, social justice and philanthropic organizations with WILD participants in dialogues and action planning to ensure participation of women with disabilities in the development process. 2017: Channel made a grant to Mobility International USA (MIUSA) to support their first ever Asian Regional Women’s Institute on Leadership and Disability (WILD) in 2018. Sixteen women with disabilities from China, India, Nepal, and Sri Lanka participated in an eight-day program in Sri Lanka to exchange experiences, explore strategies, strengthen a regional network of support, and create collaborative plans. The Asian Regional WILD included a Seed Grants Program where, following the training, participants received small grants to support implementation of WILD workshops in their own communities. It also included a Gender, Disability and Development Institute (GDDI) component which convened representatives from development, social justice and philanthropic organizations with WILD participants in dialogues and action planning to ensure participation of women with disabilities in the development process. MIUSA has collated highlights from 2018’s Asia WILD in a video. 2015: Channel made a grant to MIUSA to support the continuation of the Women’s Institute on Leadership and Disability (WILD) Seed Grants Program. 2104: Channel made a grant to MIUSA to support a pilot project in Mexico combining an exhibit of the Brilliant and Resilient photo exhibit and a Women’s Leadership Forum for Women’s Institute on Leadership and Disability (WILD) for alumni. In conjunction with the exhibition, WILD alumni organized a series of community events to bring together women leaders with and without disabilities, government officials, NGO development actors, universities, human rights activists, and others for community dialogue and action. 2013: Channel made a grant to MIUSA to support the continuation of the Women’s Institute on Leadership and Disability (WILD) Seed Grants Program. 2012: Channel made a grant to MIUSA to support the creation of the first Seed Grants Program of its Women’s Institute on Leadership and Disability (WILD). The WILD training provides women with disabilities unique opportunities to build their capacity for leadership, strengthen international networks for advocacy and support, and plant seeds for collaborative relationships, in order to advance human rights and opportunities for women and girls with disabilities around the world. The goal of the capacity building seed grants program is to support initiatives that offer promise for effective inclusion and participation of women and girls with disabilities in international development and human rights activities. 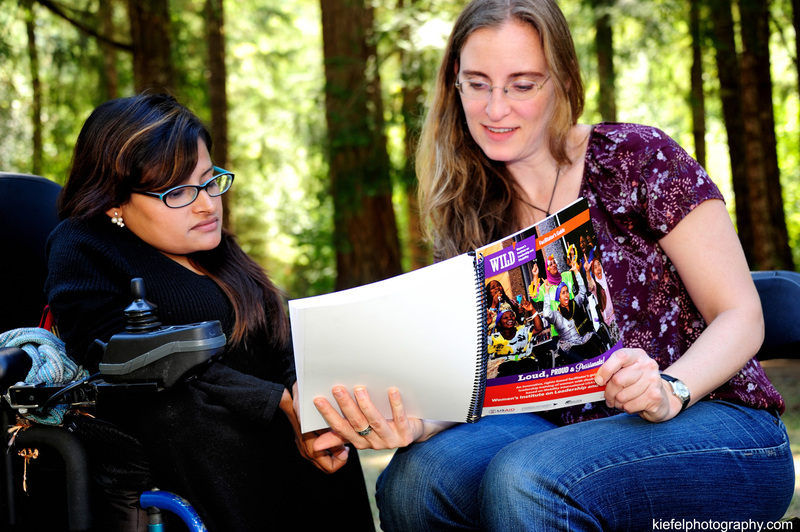 The Women’s Institute on Leadership and Disability (WILD) is Mobility International USA (MIUSA)’s signature women’s leadership training program. WILD was created from a dream that began many years ago, when disabled women first organized across borders to have an impact at the 1995 UN World Conference on Women in Beijing. Since 1997, more than 220 women with disabilities from 83 countries have participated in international WILD programs. 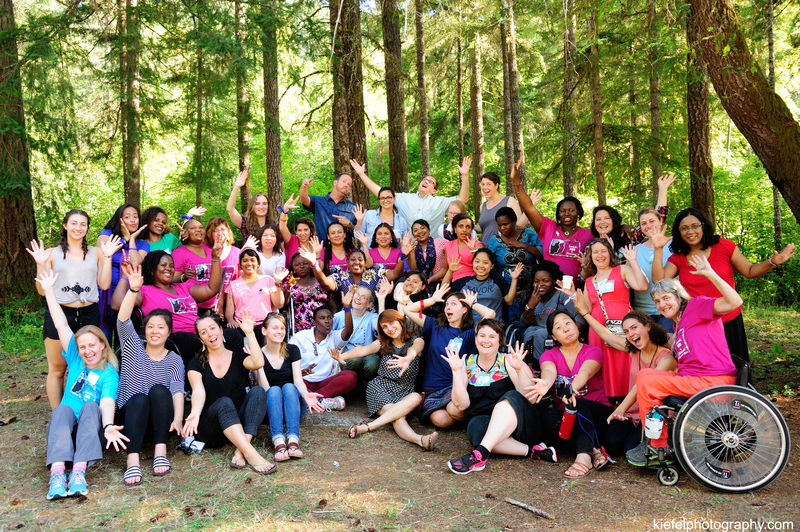 Since 2014, when MIUSA incorporated a train-the-trainer component to WILD and produced a WILD Facilitator’s Manual, WILD alumni have successfully replicated the WILD model in 32 countries, extending leadership training to more than 800 women with disabilities at the grassroots level. More about WILD’s impact can be found online. With the launch of the Seed Grants Program in 2012, the intention was for delegates to return home after completion of the WILD training, with specific plans and practical action steps aimed at increasing inclusion and achievement of rights for women with disabilities at the local, national and international levels. Delegates use skills and resources acquired at WILD to create and strengthen community organizations, and initiate new projects. In 2017 MIUSA united 20 disabled women from 10 regions of Panama for a 5-day leadership training, WILD-Panama, led by WILD alumna Marissa Martínez as a follow-on project to her own graduation from WILD a year earlier. Spanning critical themes from sexual and reproductive health to gender-based violence, WILD-Panama women explored empowerment topics in-depth. Marissa envisions that this training will create unity within Panama among women with disabilities and help spread the WILD message: Loud, Proud and Passionate® Watch MIUSA’s captioned video to see WILD Panama in action.